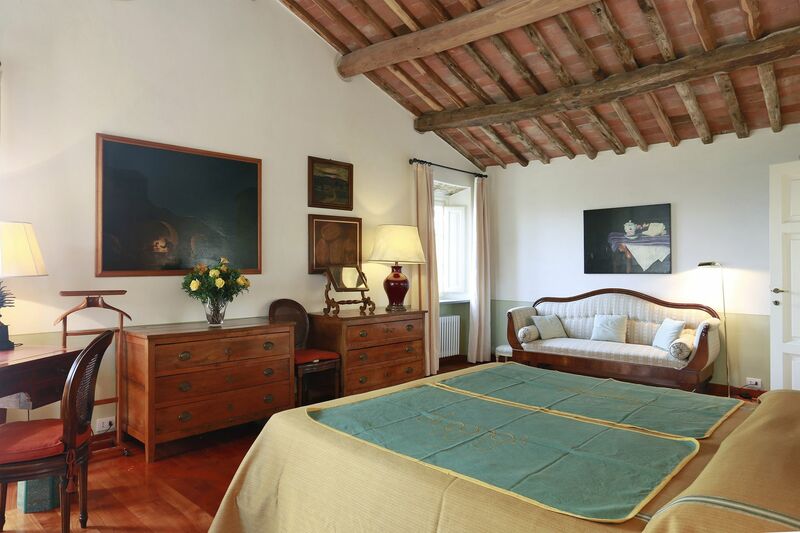 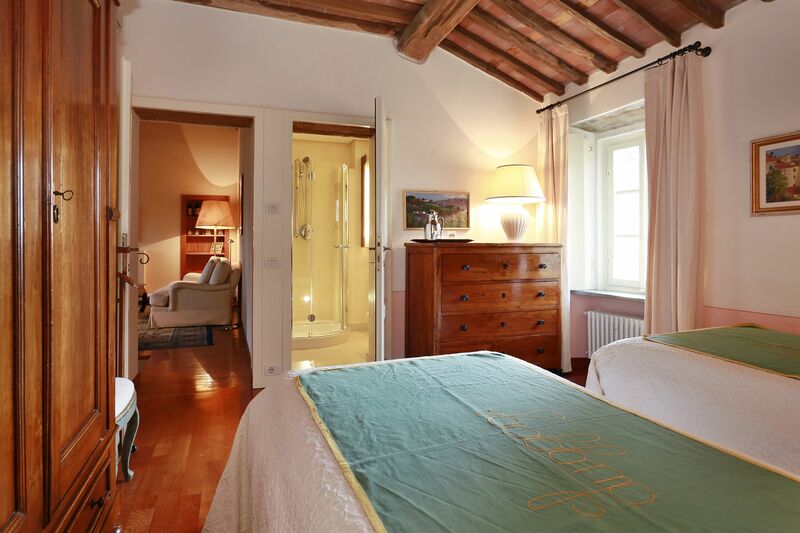 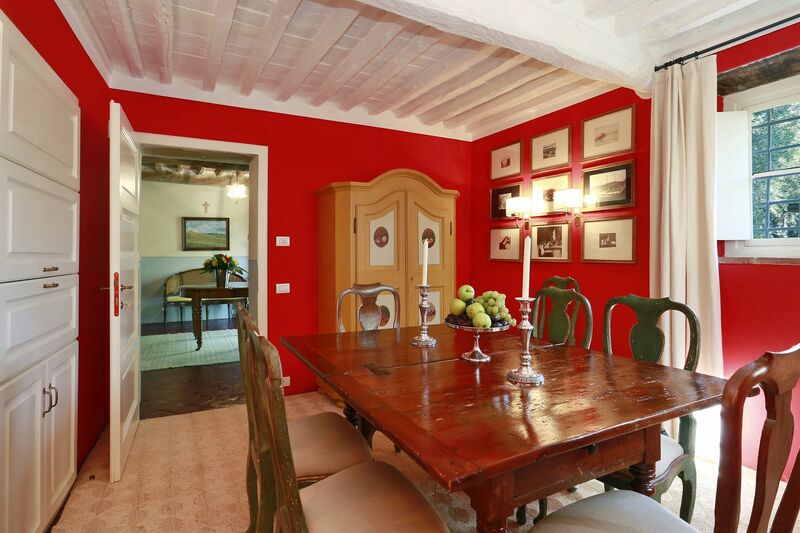 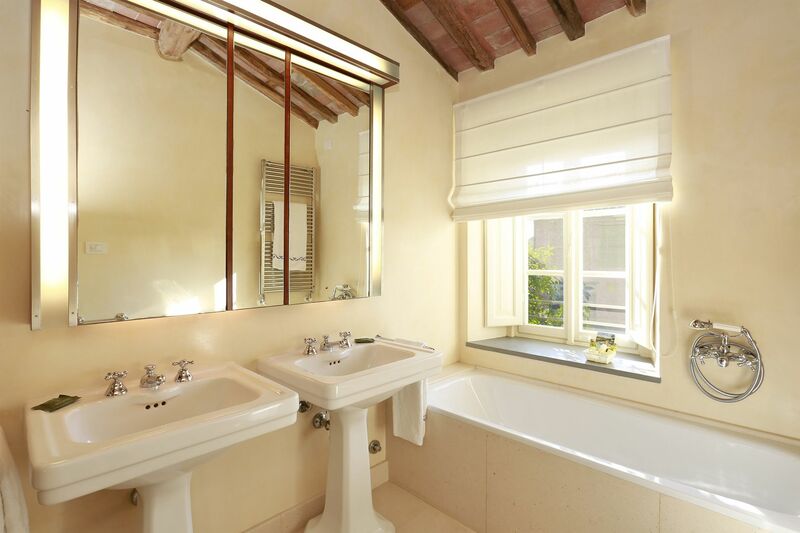 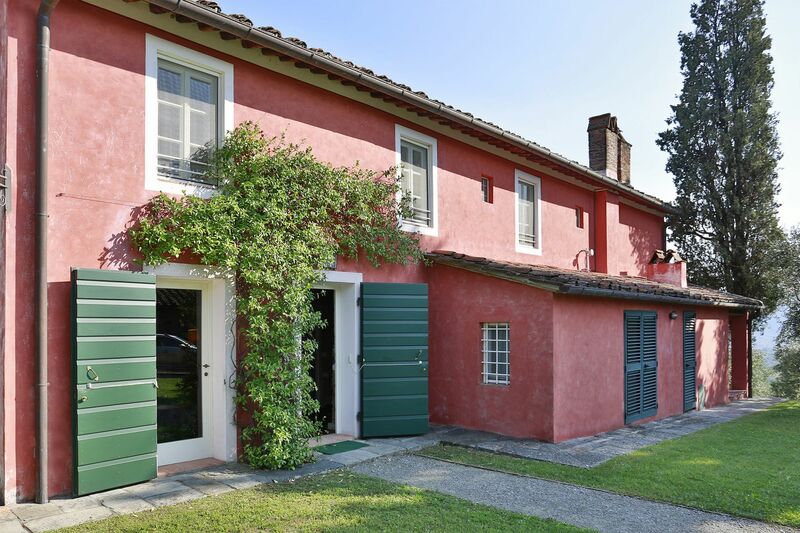 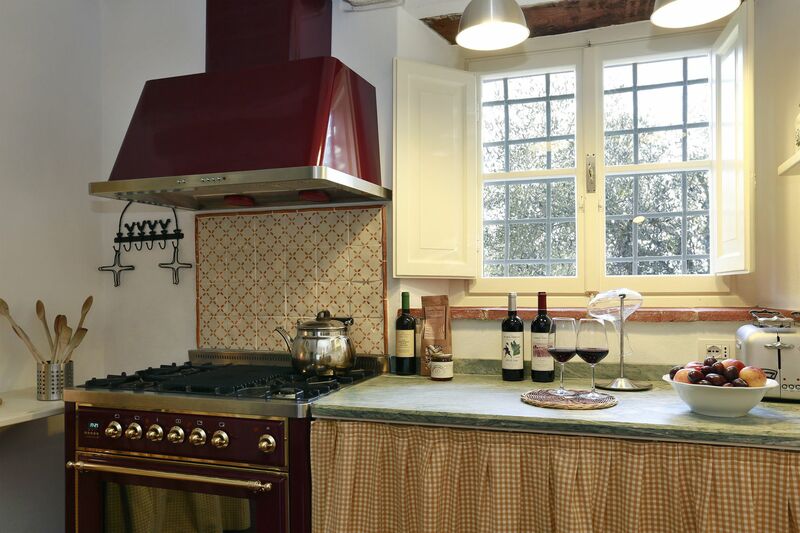 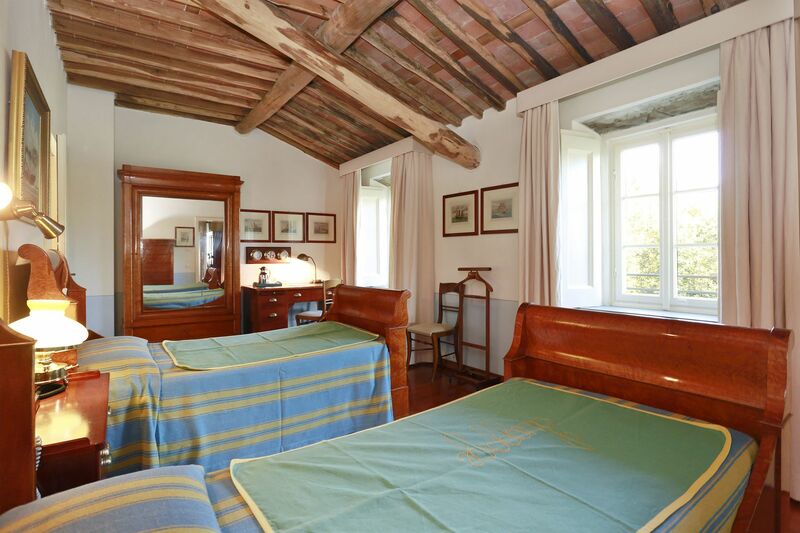 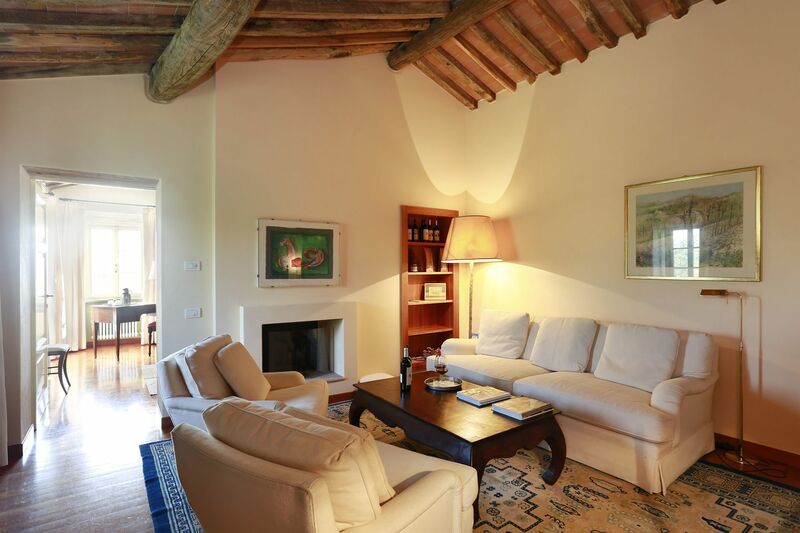 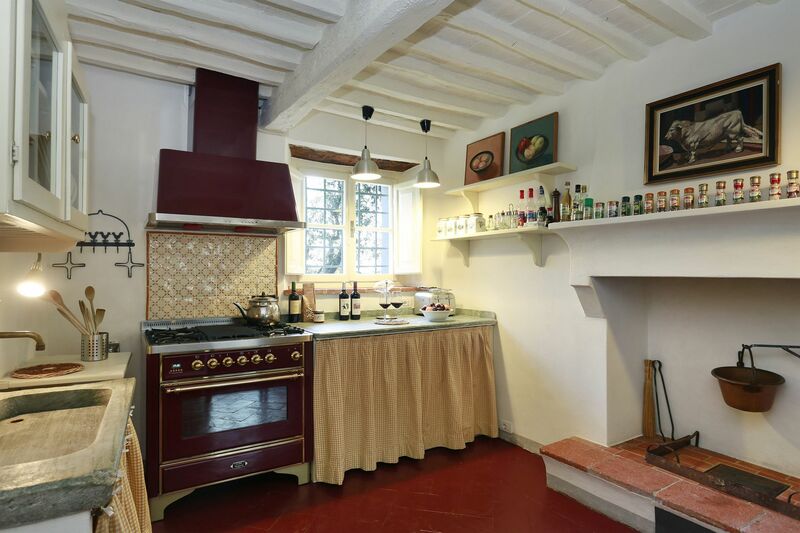 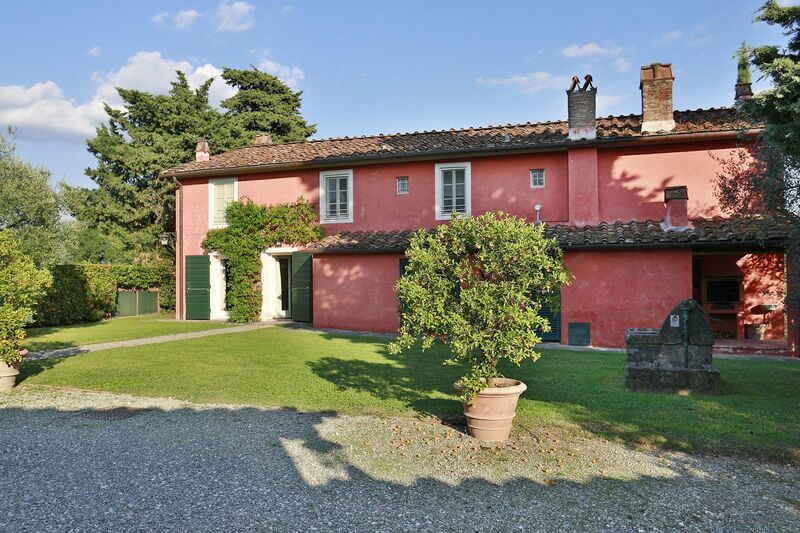 Il Vignale is situated on the hills of Lucca, in a large estate producing local red and white wine, honey and extra virgin olive oil, where we have been successfully renting another property, Le Pergole, during last years. 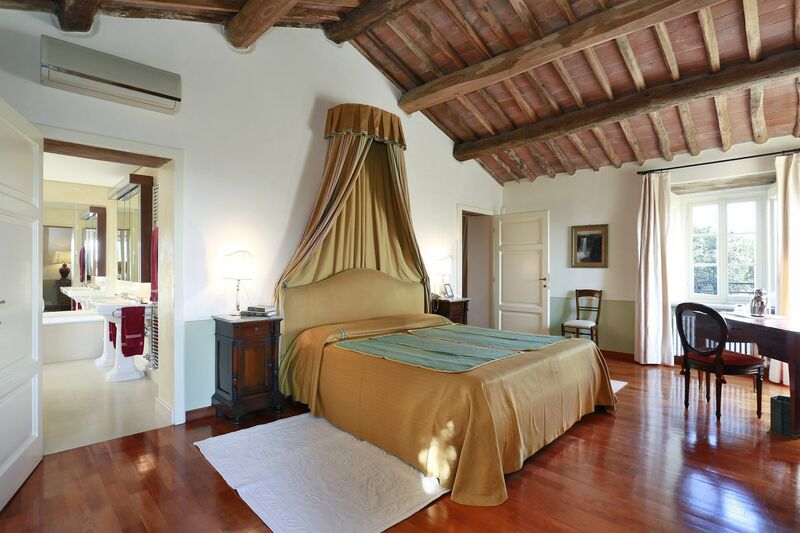 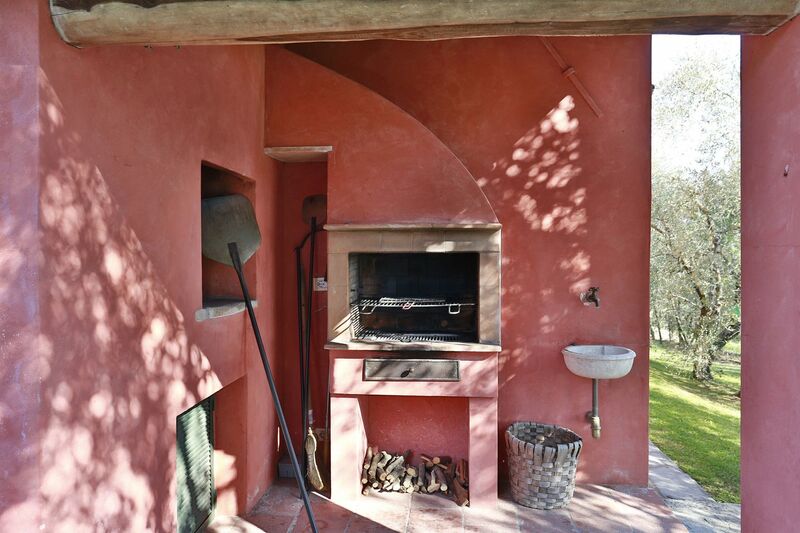 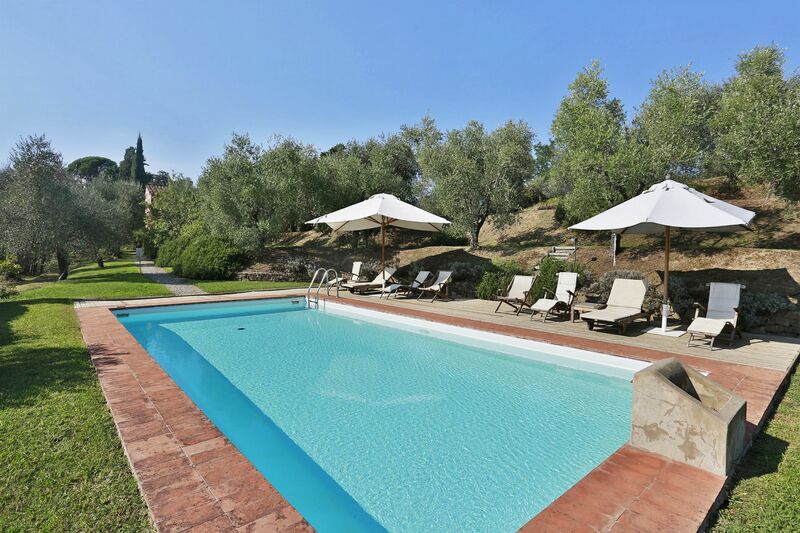 It enjoys stunning views of the surrounding countryside with olive groves and fruit trees. 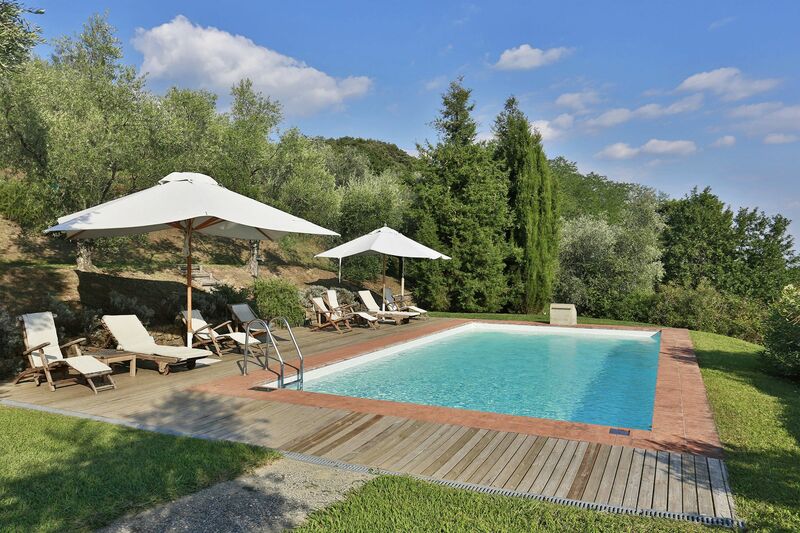 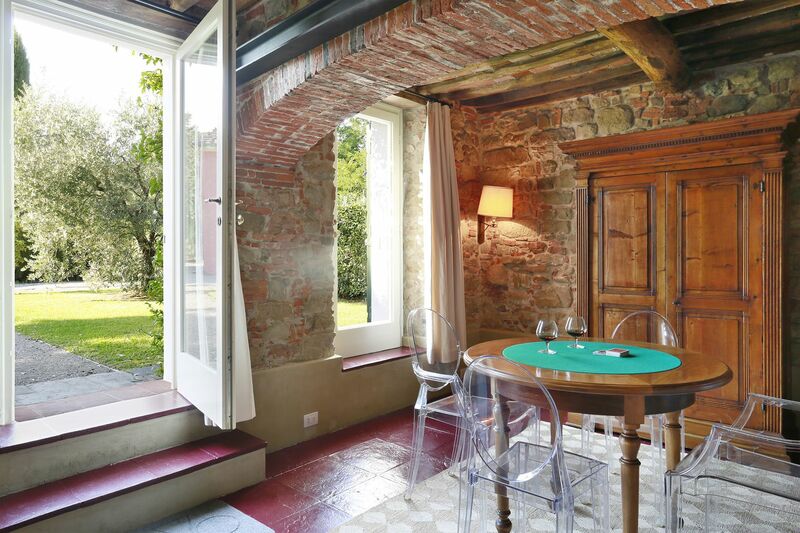 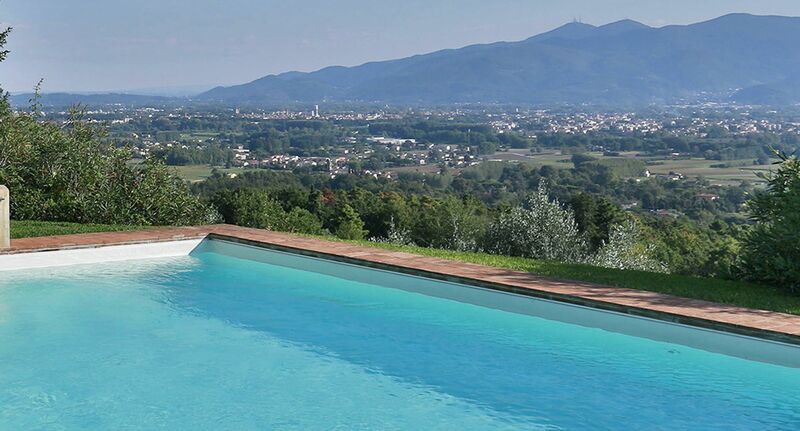 The pool area in particular is set in a secluded and very panoramic position, where guests can entertain and relax enjoying the most spectacular views on Lucca and its towers , definitely one of the most beautiful views available on the plain of Lucca. 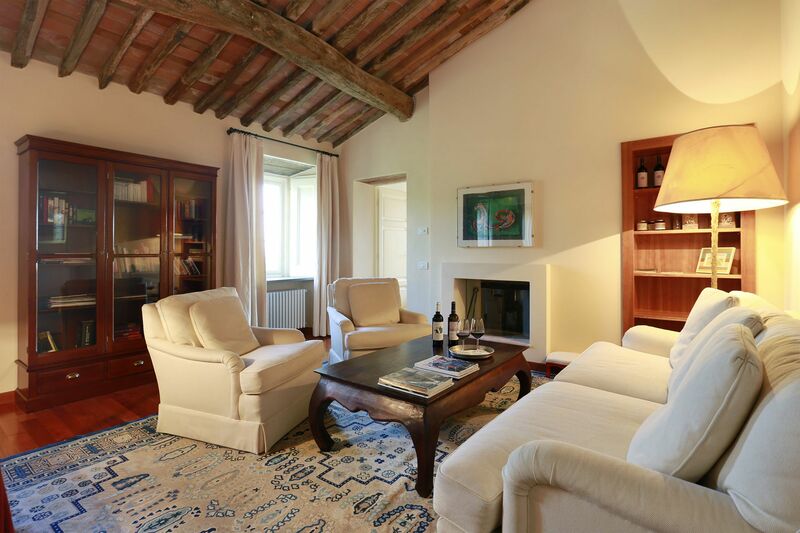 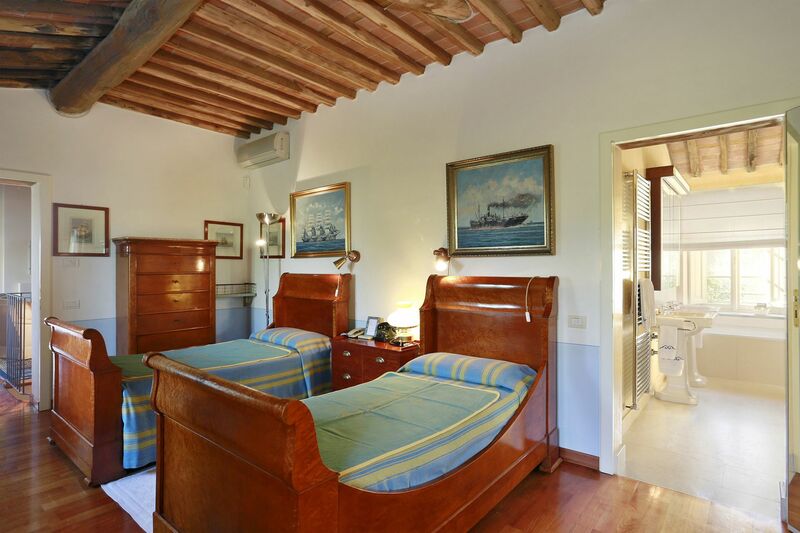 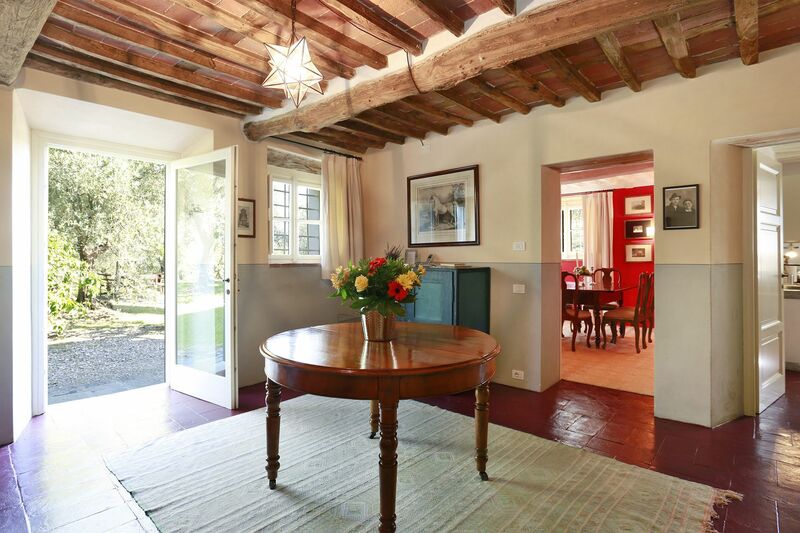 It has been recently restored to a high level with great care and attention to details in order to enhance the original character of an old farmhouse yet granting the best comfort for spending quality time during your holiday. 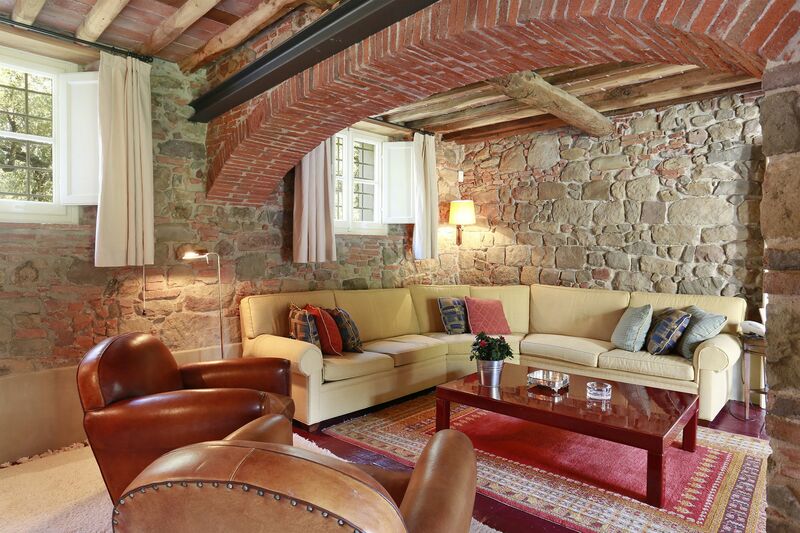 The large vaulted sitting room with stone walls highlights the character of the original structure. 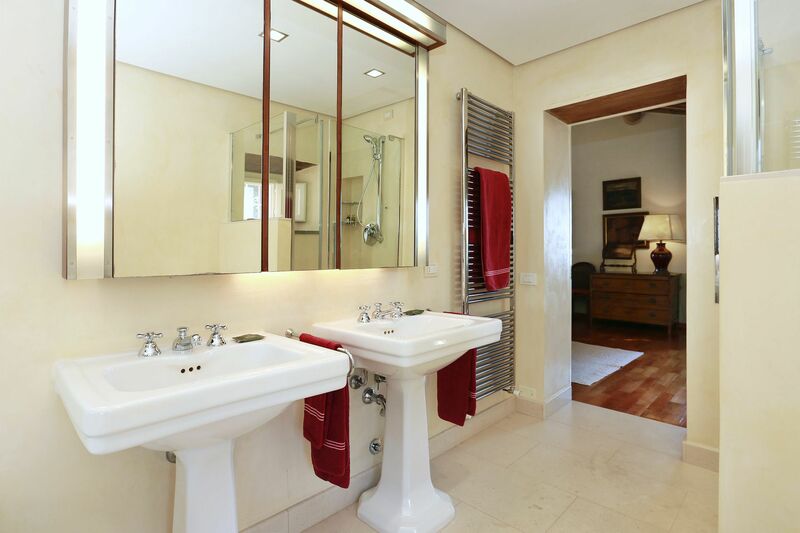 The spacious stylish interiors have been tastefully and comfortably furnished to a high level with a nice combination of antique and modern furniture.The property has been equipped with all modern comforts .All bedrooms have en-suite bathrooms , air-conditioning and mosquito screens. 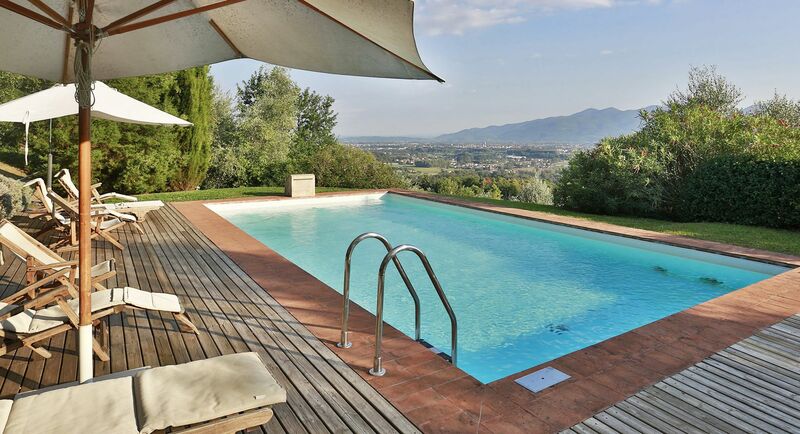 The garden is fully fenced thus granting complete privacy. 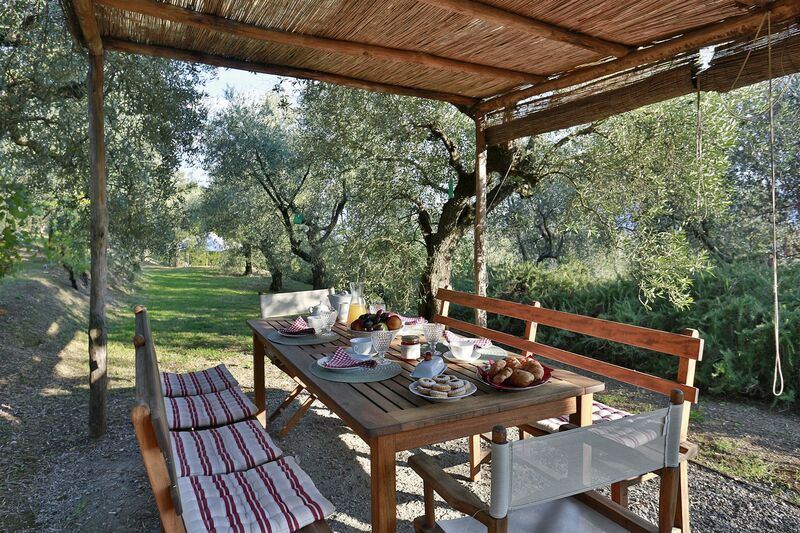 An appealing pergola creates the perfect shelter where to gather together for 'al fresco' meals or just relaxing admiring the views. 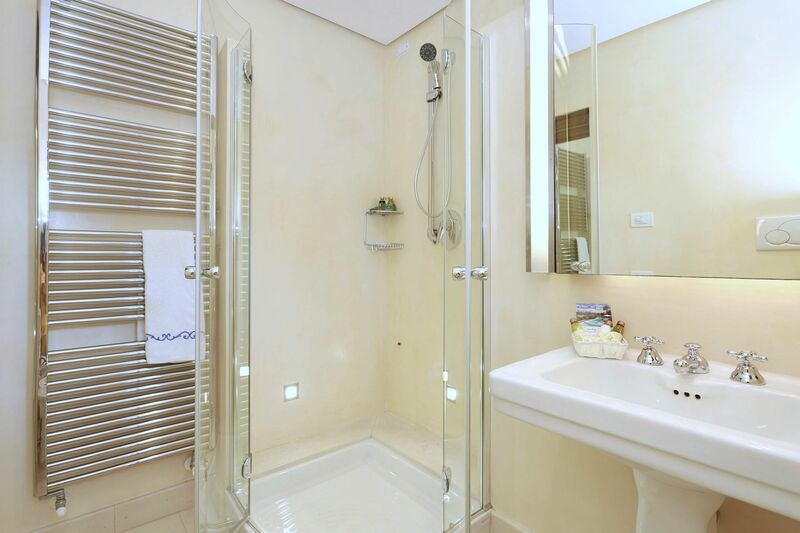 Entrance; living room with TV; dining room; kitchen; laundry room; bathroom (shower). 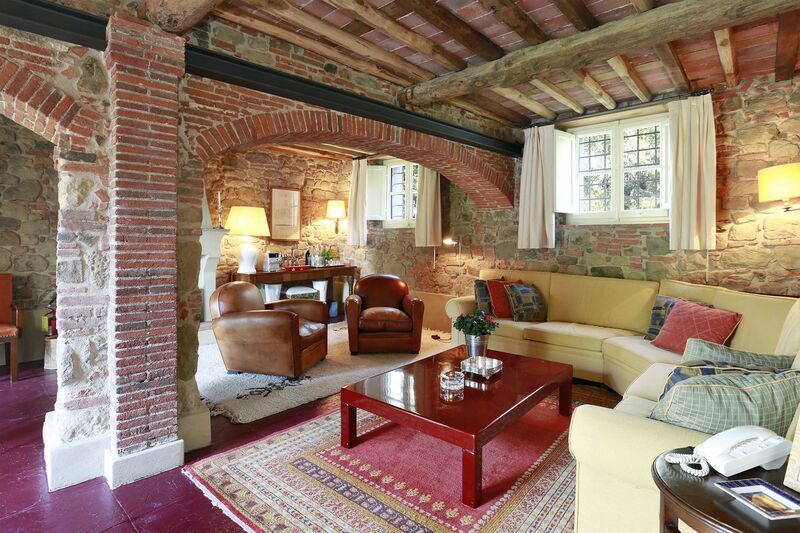 Sitting room with fireplace; master bedroom with en-suite bathroom (bath and separate shower); twin bedroom with en-suite bathroom (bath and separate shower); twin bedroom with en-suite bathroom (shower). 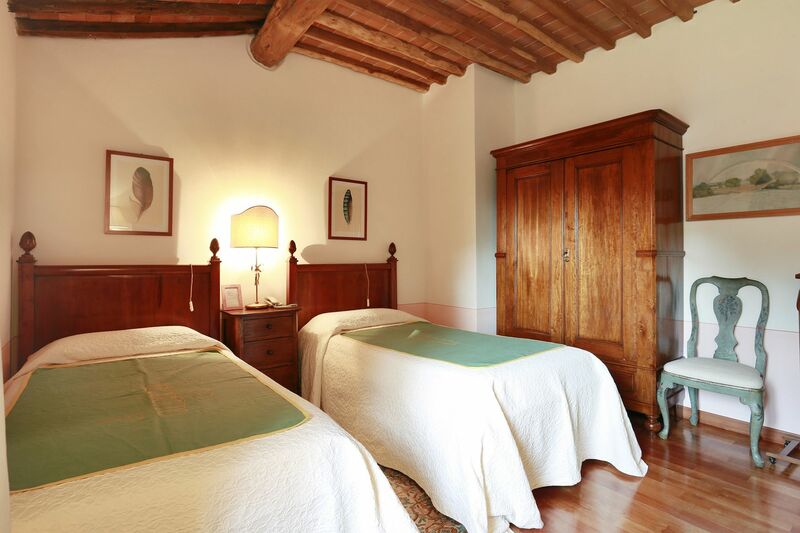 The stay was amazing - we really enjoyed our time. 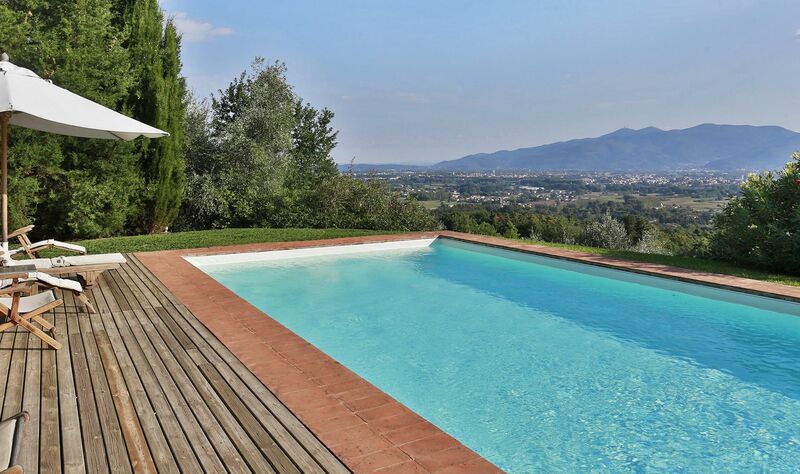 Great location, super house and outstanding service from your end - everything absolutely perfect!